Follow us on social media for extra support. 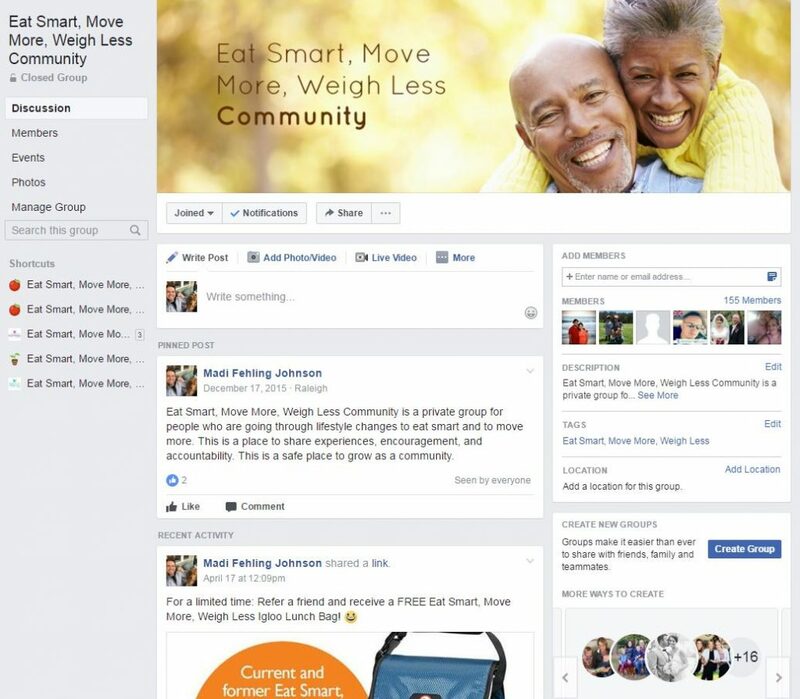 Connect with other participants on Facebook, gather healthy recipes on Pinterest, and find addition tips and trick on Twitter. The goal is to eat smart and move more for a lifetime- and we are here to support you along the way. Connect with fellow participants and program staff, stay up to date on recent blog posts, and be the first to know about program updates and special offers. Current or former participant in Eat Smart, Move More, Weigh Less? Support and motivate each other by sharing tips, tricks, and encouragement. Pinterest can be overwhelming trying to figure out if a recipe is really “healthy”. 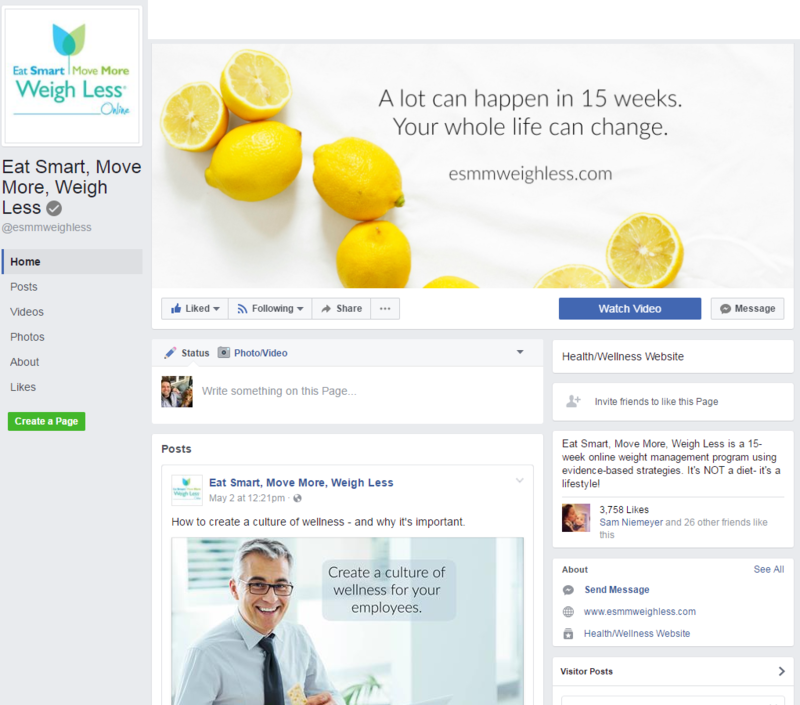 We do the hard work for you – easily find healthy recipes for all meal types on our page. 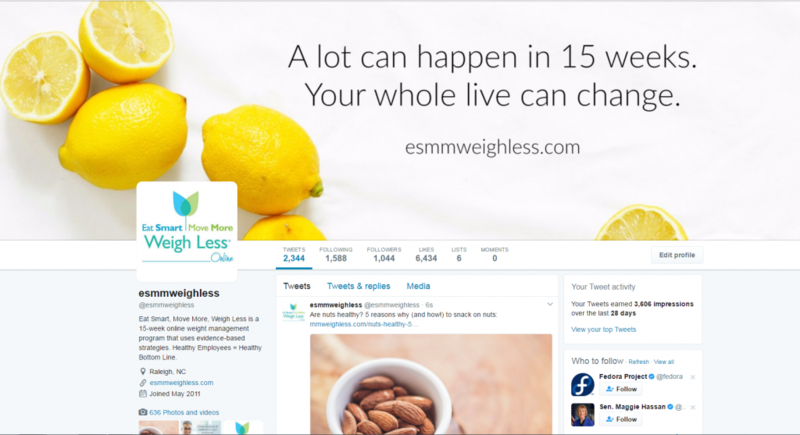 Be the first to hear the latest news, offers, and updates from Eat Smart, Move More, Weigh Less. 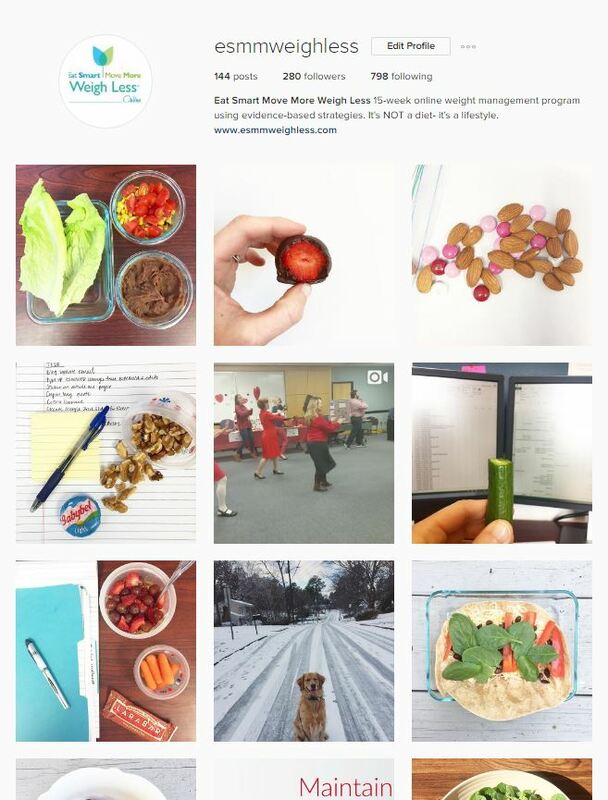 Take a behind-the-scenes look at the Eat Smart, Move More, Weigh Less team to see a few of our favorite ways we like to eat smart and move more. 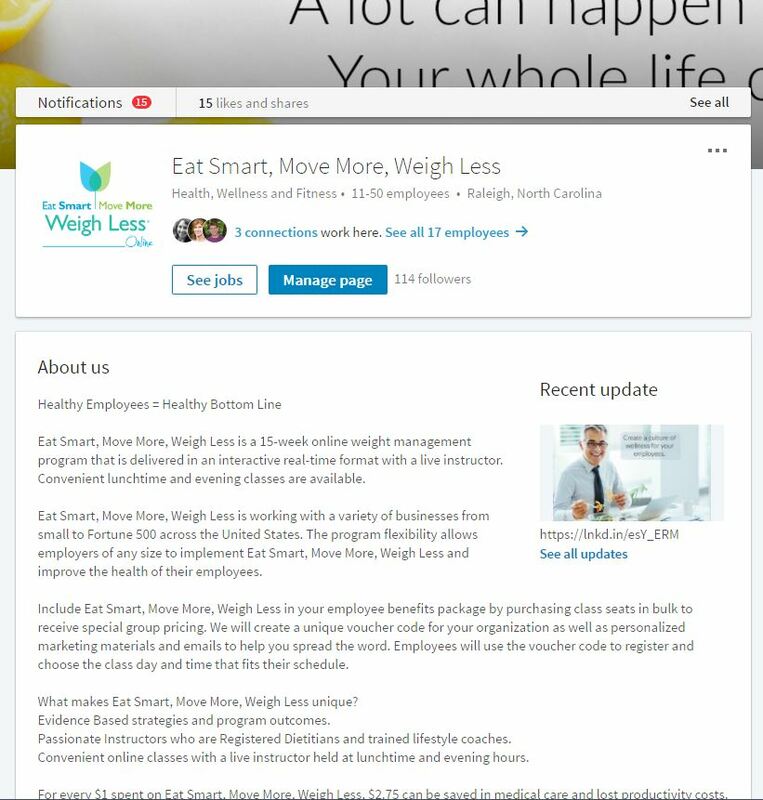 Follow us on LinkedIn for employee wellness resources, guides, and materials to improve the culture of wellness at your workplace.